APPEARANCE: Aggressive pour produced the smallest caramel latte colored head that went away in an instant leaving a small halo. AROMA: I was getting hit with a huge bouquet of deliciousness as i was pouring. Like chocolate covered cherries jubilee served over vanilla bean ice cream. Nice barrel notes coming out that really is begging me to drink this! TASTE: There is a party in my mouth and rue d’ floyd is invited! Now the nose comes into play taking that delicious desert I described and barrel aging it then putting it in a blender. Very deep, dense and delicious. Nice and sweet without be overboard, not as much cherry on the flavor as in the nose but for sure still present and amazing. MOUTH-FEEL: Full body with light carbonation. Soft, velvety with a nice coating of the mouth and tongue. Wouldn’t have guessed this is 14.4% almost no heat to it at all. OVERALL: No infection notes at all, it’s to bad it’s not recommended to age. Some time on this might really bring out some more of the layers.For me to date this is the best cherry beer I’ve tasted. Great collaboration between two great breweries! 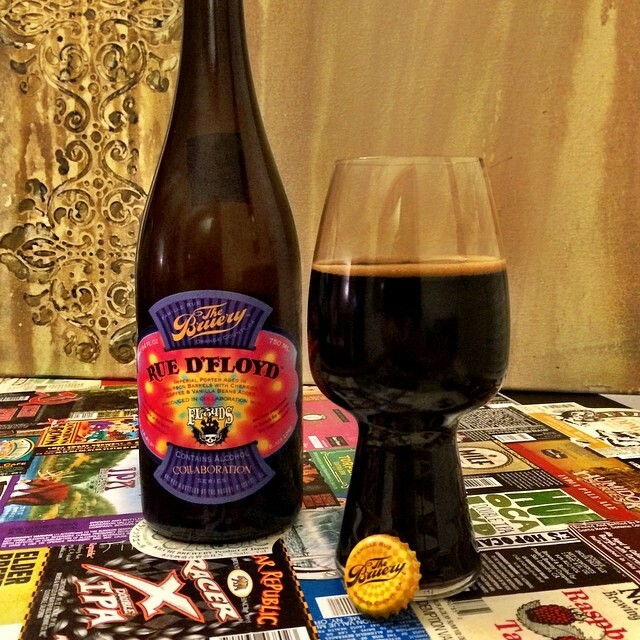 This entry was posted in Beer Reviews, Stouts/Porters and tagged #beer, #beergeek, #beerme, #beernerd, #beerporn, #beerreview, #beerzombies, #craftbeer, #dtlv, #lasvegas, #lv, #zombie, #zombies, chocolate covered cherries jubilee by beerzombies1. Bookmark the permalink.